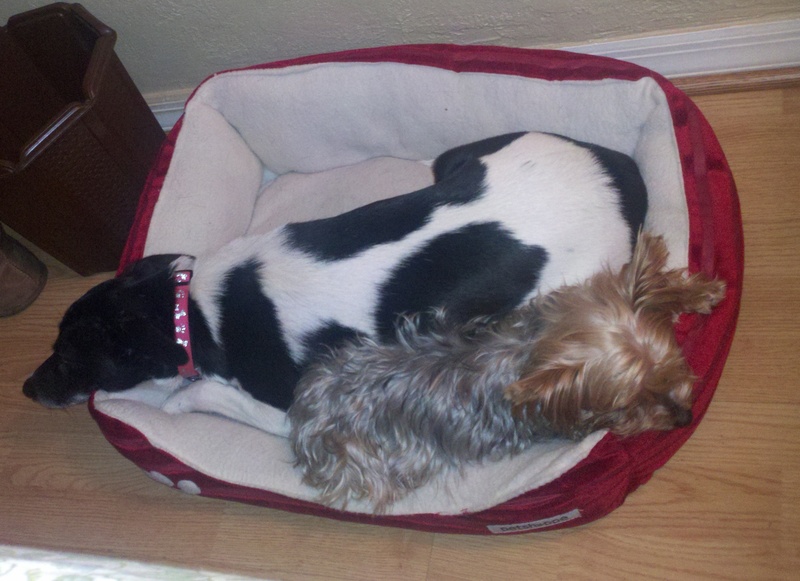 Although we still don’t trust them to behave when they’re alone in the house, Gracie and Sophie are on their way to becoming fast friends. Sophie has adapted quite well to the doggie door, using it for her own purposes, but she does not yet have any idea of what MY purposes for the doggie door are, and I continue to clean up small messes, even having bought a low-end Swiffer (just the stick, no attached spray bottle) to make the clean-ups a little easier. If she were a Great Dane, I’m sure we would be more motivated to watch the Potty Training video we got from Petsmart, but last night we watched Ender’s Game instead. 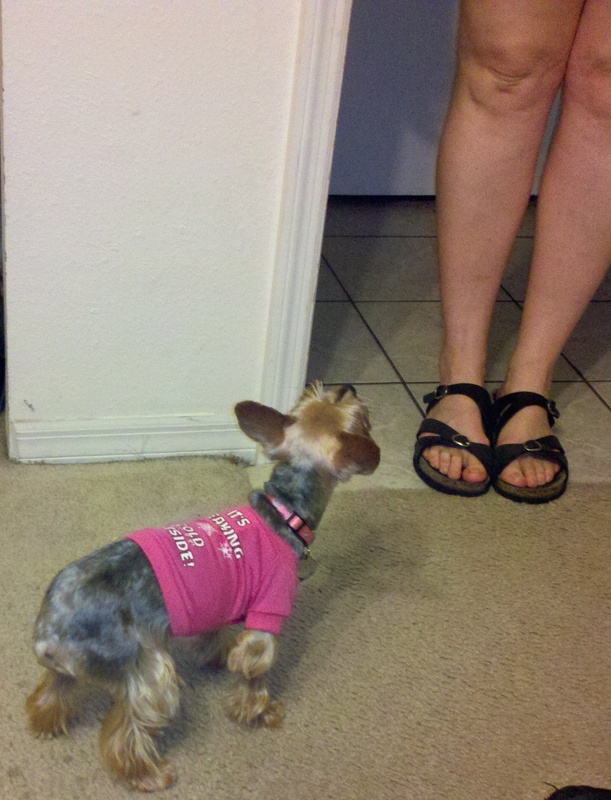 Sophie loves The Mama and doesn’t seem to mind her new short haircut, but she really didn’t like the t-shirt. It came off shortly after her modeling session. A couple of days ago, we noticed a small bulge on her lower abdomen. Yesterday morning, the vet confirmed that she has an inguinal hernia. It is not an emergency situation, but it is something that needs to be addressed before it develops into one. We have scheduled her surgery for Monday morning. It is a relatively minor surgery and her recovery time should be no more, and perhaps even a little less, than when she was spayed. I guess it’s not just the free dogs that turn out to be the expensive ones.